The Voice is the new official publication of award-winning North & Western Lancashire Chamber of Commerce. The Chamber, which has been established since 1916, actively represents, supports and promotes over 1,600 businesses, from micro to multi-national organisations, throughout the region. Published four times a year, The Voice will fulfil two principal roles. Firstly, to keep members informed of the Chamber’s many activities, whether they be lobbying government for legislative changes to assist business, providing information on the various networking opportunities that form a core part of any chamber of commerce’s diary and promoting positive business news on behalf of its membership. 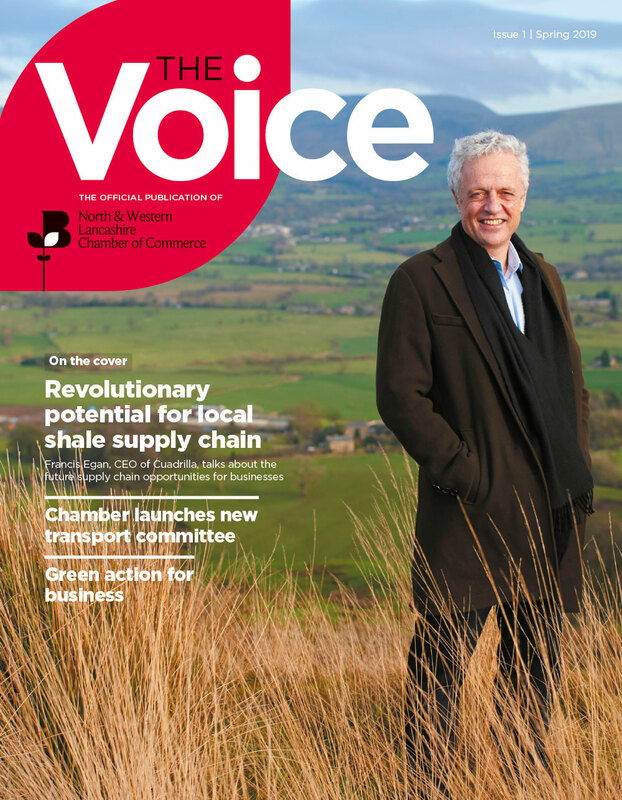 The Voice will act as a discussion forum for some of the region’s leading business people, each issue will carry authoritative comment on key issues affecting all businesses, from tax to exporting and energy to tackling red tape. With a readership of 6,000, few other business magazines can directly touch as many opinion formers across the region. Finally, each issue will carry a series of features on topical business matters all backed by strong editorial support from leading figures within their speciality. It is the breadth of editorial coverage that makes The Voice the obvious choice for any company wishing to promote itself to the business community of region.